Russian Judicial Council asked to drop barriers to ensuring right to defense | Russian Legal Information Agency (RAPSI). MOSCOW, October 9 (RAPSI) – Russia’s Ministry of Justice has asked the Judicial Council to change internal conduct rules of the courts to remove obstacles preventing citizens’ access to legal defense, the press-service of Russia’s Federal Chamber of Lawyers has stated. The request is related to a letter written by the Chamber’s president Yury Pilipenko concerning arrest of attorney Lidia Golodovich following her conflict with bailiffs of the Nevsky District Court of St. Petersburg. The bailiffs refused to let a witness into the court because the latter was wearing short pants. According to the Chamber, Golodovich asked the court’s chairman office to allow the witness to enter the building, but instead she was handcuffed and transferred to a police office. The attorney was charged with use or threat of violence against a representative of authority. Golodovich also said that an officer of Russia’s National Guard physically abused her during arrest and at the police station as well. In July, she asked the Investigative Committee to initiate criminal proceedings against the officer. 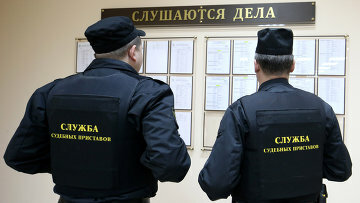 The Ministry of Justice asked the Federal Bailiffs Service and the National Guard to investigate actions of the law enforcement officers and to take measures if violations are found. 11:45 09/10/2018 Russia’s Ministry of Justice has asked the Judicial Council to change internal conduct rules of the courts to remove obstacles preventing citizens’ access to legal defense.